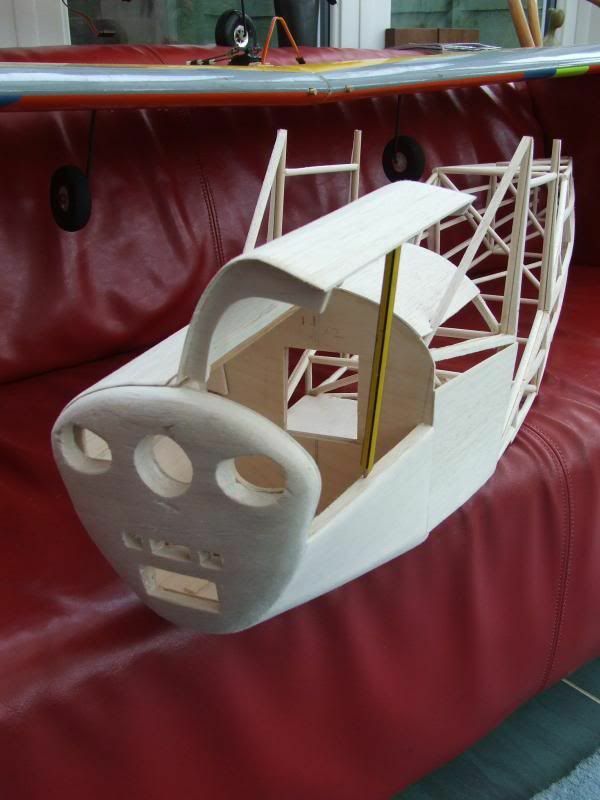 I am planning my winter build project and have settled on the Auster as there are lots of build blogs to follow. I cannot find any with electric power and am looking for help in how to provide access for battery changes. My previous building experiences have all been "as per plan" so unsure how to change it. I have read the posts on BEB's Chipmunk conversion and something along those lines seems feasible. Has anyone been there and done it already? can you not make a top opening hatch something like this. 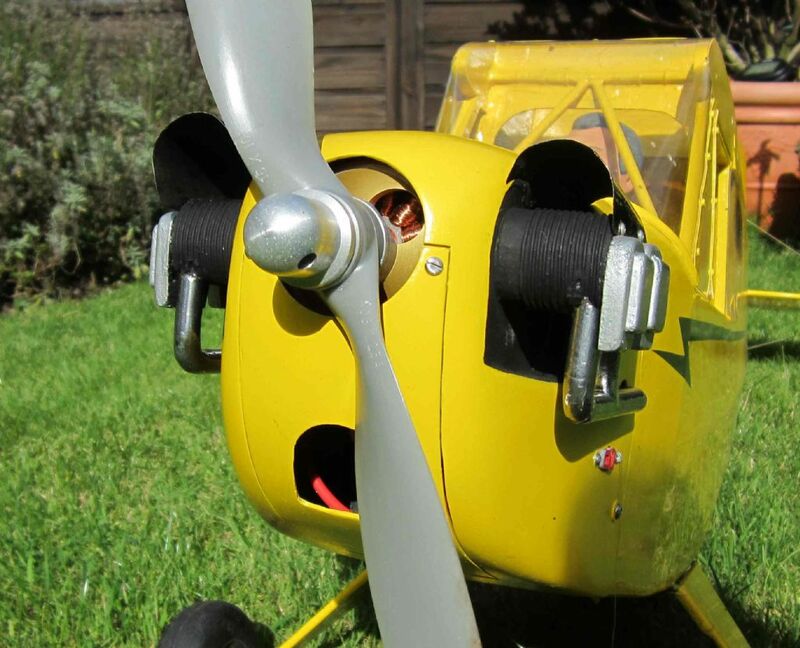 Thanks Phil, I have emailed Richard at DB and he is aware that others have converted the Auster but doesn't know how they overcame the access issue. He suggested the forum so hopefully someone will have done it. I think bottom access is probably best. I could do something similar Tony and make a balsa cowl instead of the one supplied. Thanks for the suggestion and photo. With my 1/5 scale DB Cub I've installed a battery box which is accessed through the front of the cowl -- say roughly where the rectangular holes are in Tony Bennett's post above -- and goes back horizontally through the firewall to give enough length for my 3S 3900mAh LiPo (originally two 7-cell NiMh packs in series). I cut an access hatch in the fibreglass cowl, and hinged it. Since access to the battery is impeded by the prop, I've installed a safety plug in the side of the cowl so I can isolate the battery before trying to open the hatch. What engine do you intend to use and battery size I am contemplating a 50 and 4cell but will still have to do some research. I’m sorry but I am unable to help as I decided to stick with ic and fitted an OS 95 and didn’t pursue the electric route. I would be interested to hear how it goes if you do go electric. The DB website has a link to 4Max for a suitable electric setup. Mentions a motor mount too.